We are a leading Manufacturer of bar stock thermowell and rtd sensor probe from Vadodara, India. Customers can benefit for us a wide range of Bar Stock Thermowell. These instruments are produced utilizing prime nature of crude material & segments. Our extent is broadly utilized as a part of different businesses to serve distinctive applications. These supplies are utilized to identify temperature of frameworks & substances amid creation process. In addition, we likewise give sensors in agreement our customer determinations. We offer these sensors & adornments at business sector heading costs to our customers. 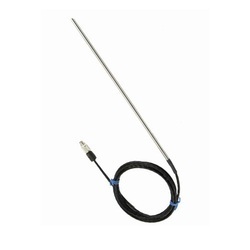 Owing to our rich experience in this domain, we have been able to trade and supply superior quality RTD Sensor Probe. Our provided sensor is manufactured by adept professionals using the best quality raw material and progressive technology in line with industry norms. Moreover, a team of quality examiner stringently tests this sensor in order to eradicate any kind of flaw.